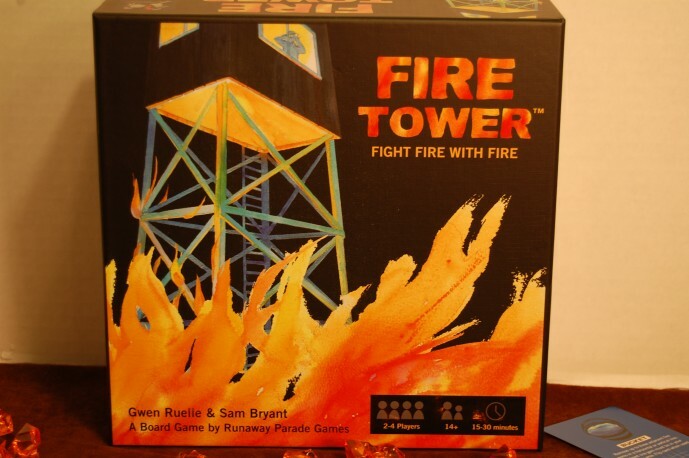 Aloft in your fire tower, you work to keep the fires at bay. 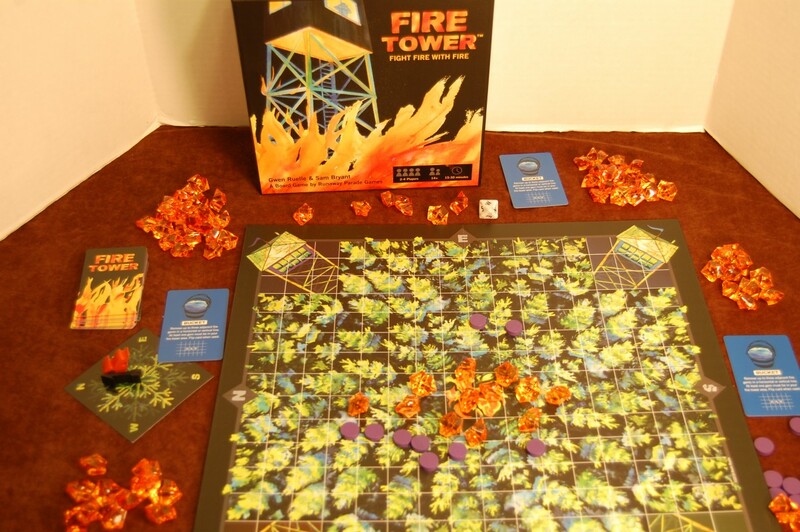 Like real forest rangers, protect your tower using a firebreak or an airdrop of water. Use the wind to your advantage but beware, it can change at any time. Last tower standing wins the game! We watched the development of this game and could not help but be taken by this competitive game. Quality sparkling fire and wooden firebreak pieces add to game play. Recommended for ages 14 and up but 10 and up can play with help. Comes with a velveteen bag in which to store all of your components.